QUESTION: My sister is a US citizen and she filed an F-4 I-130 petition for me 15 years ago. I was born in the Philippines, but I have since moved to Canada and become a citizen of Canada. The wait times for a visa for the Philippines for the F4 category is way longer than the wait time for Canada. Am I now able to use Canada as my country of chargeability for my petition? THE IMMIGRATION ANSWER MAN – ARI SAUER: Unfortunately, no. You cannot use Canada as your country of chargeability for determining when a visa will become available for your immigrant petition according to the Department of State Visa Bulletin. Obtaining the citizenship of another country does not change your country of chargeability. There are a few exceptions to the general rule that your county of chargeability is the country of birth. Obtaining the citizenship of another country is not one of those exceptions. Here is a link to a previous post of mine where I discuss what those exceptions are, so that you can see if maybe you qualify for a different country of chargeability based on one of those exceptions. Published 5/20/17 by attorney Ari Sauer. i am Egyptian and leaving in UAE (Abu Dhabi), i have been selected for DV 2018. but the chargeability country mentioned as UAE, which is wrong is there any chance to correct the chargeability country to be Egypt. Off the top of my head, I am not sure of the best way to get the DOS to make this correction. One option is that you could contact your Congressman or Senator’s office and ask them to contact DOS and request the correction. I do have question on Cross chargeability. I was born in India so is my wife. I have applied for my I-140 in EB2 category. Both my parents were born in Sri lanka and have their birth certificate. They also had Srilankan passport and did their schoolings there. As the situation was bad due to civil war, they had to move to India. they got their jobs and settled in India. Now they have Indian passports. Can i use my parent’s country of birth as Cross chargeability and use for my green card process? Can i use Sri lanka instead of India for cross chargeability as India has the very long waiting period. As a general rule, you are only be able to use your parent’s country of birth as your country of chargeability where you are applying for permanent resident as their derivative child (a situation where you are unmarried, under 21, one of them is applying for permanent residence as the primary beneficiary/applicant, and you are applying for permanent residence with them as your child). Another exception would be where neither of your parents were residing in India at the time you were born. For example, if your parents were just in India for vacation when you were born in India, then you might be able to claim Sri Lanka as your country of chargeability. 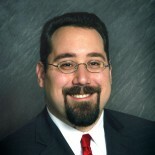 This entry was posted on May 10, 2017 by Immigration Lawyer Ari Sauer - The Immigration Answer Man in DOS Visa Bulletin, Employment-Based Immigration, Family-Based Immigration, I-130, Immigrant Visa, Immigrant Visas, Permanent Residence, Permanent Resident, Visa Bulletin, Visa Chargeability, visa numbers, Worldwide and tagged Chargeability, Country of birth, Country of chargeability, Country of citizenship, Visa Bulletin, Visa Chargeability, Wait time.